Wealthsimple Financial Inc. was established by Michael Katchen in Toronto, Canada in September 2014. The firm has $4 billion in assets under management (AUM) and over 150,000 clients as of April 2019. The growth is driven by the introduction of Wealthsimple in the US market back in 2016. Simplicity and ease-of-use are Wealthsimple’s signature benefits. 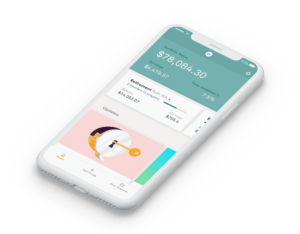 The Wealthsimple Robo Advisor may be a relatively new entrant in the market, but it also happens to be the largest Robo Advisor in Canada before entering US territory. That is no easy feat considering the fact that Canada has a good collection of Robo Advisors such as Nest Wealth, BMO Smartfolio, and ShareOwner. In this Wealthsimple review for 2019, we will find out how the service fares in terms of low fees and deposit limits, account and investment types, flexibility, and ease of use. We will also find out if Wealthsimple will score high enough to become one of the best Robo Advisors in terms of affordability and ease of use. We always discuss the fees and deposit limits before proceeding to other criteria. In this regard, Wealthsimple gets a high score because the service comes with a $0 account minimum. 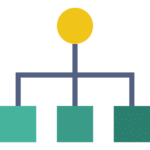 If this is the case, your account will be applied under the Wealthsimple Basic offering and will come with free dividend reinvestment, automatic rebalancing, and automated deposits. There’s more good news: The Wealthsimple Robo Advisor will charge zero fees on trading, tax-loss harvesting, and transfers. But there’s a caveat. Wealthsimple will impose 0.5% management fees on account balances between $5,000 and $100,000. If your account balance is above $100,000 (categorizing it under Wealthsimple Black, which is appropriate for larger investments), the management fee is 0.4%. This amount is higher than the management fees of the Best Robo Advisors such as Betterment, Zack’s Advantage, and Wealthfront. Wealthsimple used to offer the first $5,000 investment for free. Existing clients who took advantage of this offer will continue to enjoy ZERO fees for one year. But now, Wealthsimple has a better offer exclusively for new clients. If you sign up using our link, your first $10,000 investment will be managed for free. There are no hidden charges and you don’t need to do anything special. Simply sign up using our link and Wealthsimple will manage your first $10,000 for free! Canadian investors should note that Nest Wealth might be a better choice for you if you’re investing over C$150,000. Due to their fee structure and lower overall Management Expense Ratio (MER), Nest Wealth becomes increasingly less expensive to invest with. Are you paying higher fees elsewhere on your RRSP, TFSA, or other accounts? You don’t have to. Transfer any accounts worth $10,000 to Wealthsimple and they’ll cover any transfer fees your bank tries to charge you. So far, Wealthsimple is a Robo Advisor with no minimum deposit but with slightly higher management fees. It would have been great if the management fees are somewhat at par with the charges levied by the top Robo Advisors. From this initial perspective, it is clear that Wealthsimple is somewhat a better choice for big investors. If you’re Canadian and investing a larger amount, you should also take a good hard look at Nest Wealth. Wealthsimple is a fully-automated wealth management service. 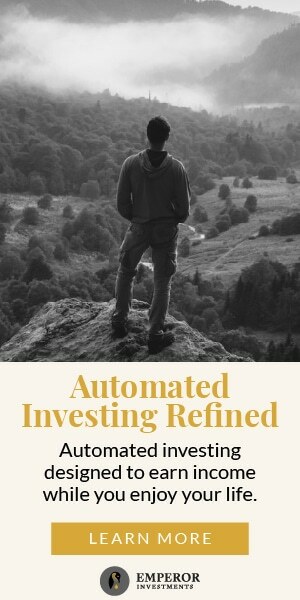 Although the service comes with automatic rebalancing and dividend reinvestment, this is not the type of Robo Advisor that is ideal for hands-on investors. This comes as no surprise since the Wealthsimple app will reputably put all your investments on autopilot by utilizing the Modern Portfolio Theory. The service is also tweaked for younger investors who prefer to automate their investments using a beginner-friendly customer experience. If you happen to be a hands-off investor with large taxable accounts, Wealthsimple might be a good choice. Simplicity and ease of use are the highlights in this 2019 Wealthsimple review. This is one of the easiest ways to start investing. Signing up consists of a simple, three-step process that involves completing an online application, imprinting your E-signature on the required Investment Management Agreements, and entering your account information. After this, your new Wealthsimple account will be ready in five business days so you can begin investing. 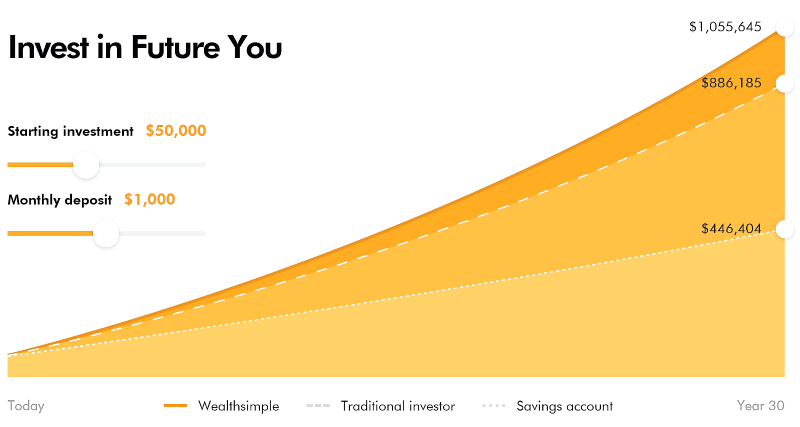 Wealthsimple will offer free 401(k) assistance, tax loss harvesting, portfolio rebalancing, automatic weekly, bi-weekly, and monthly deposits, and socially-responsible investing in a fully automated account. It might be not as flexible as other Robo Advisors, but Wealthsimple shines when it comes to ease of use. Wealthsimple basically offers two types of accounts: Wealthsimple Basic and Wealthsimple Black. The former is ideal for investors with account balances of up to $100,000 and comes with free automatic rebalancing, tax loss harvesting and dividend reinvestment. Remember, the first $10,000 in your account is managed for free for the first year if you use our link in this Wealthsimple review. Wealthsimple Black is appropriate for investors with account balances of $100,000 and up. Clients under the Wealthsimple Black will pay lower management fees of 0.4% and get goal-based investing. You also get dedicated financial planning from expert advisors so you can earn more on your investment accounts. Wealthsimple Black also gives you global access to 1000+ VIP airline lounges in over 400 cities around the globe. You also get a complimentary Priority Pass membership for you and a travel companion. Investors with a high net worth should definitely look into the brilliant services offered by Wealthsimple Black. Wealthsimple offers taxable, traditional IRA, and SEP IRA accounts. It also offers joint, trusts, Roth IRA, and Rollover IRA accounts. All taxable accounts get free tax loss harvesting. Non-taxable accounts benefit from portfolio rebalancing and human assisted financial advice. Your investment portfolio will consist of ETFs from 16 asset classes. You also get individual stocks for halal portfolios. Wealthsimple also shines in this regard since it gives American investors the opportunity to invest in socially responsible companies and halal investing products. If you are a socially responsible investor or if you are seeking halal investment choices that comply with Islamic law, you will definitely love the Wealthsimple Robo Advisor. Wealthsimple also has a brilliant micro-investing service that the company calls Wealthsimple Roundup. The service allows you to invest spare change in a smart portfolio using low-cost ETFs. It is simple and easy to use. All you need is to turn on the Roundup feature in the Wealthsimple mobile app. Every time you make a purchase using your debit or credit card, the service will round up the purchase to the nearest dollar and invest the spare change. 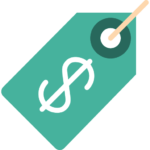 For example, if you spent $19.25 on your favorite ride-sharing service, the purchase will be rounded up to $20 and the spare $0.75 will be automatically invested. The portfolio will grow as you spend more. We think is a great addition to an already impressive robo advisory service. Wealthsimple also launched their free Investing Master Class in April 2019 to help new investors get a handle on their personal finances and investments in a jargon-free, easy-to-understand way. The Master Class consists of 10 short videos, each covering topics such as the Stock Market, Investing 101, Saving vs. Investing, Automating Your Finances, and more. The videos will get you from zero-to-investor and they’ll only take a total of 45 minutes to do it. Even though the account minimum is $0 for the Wealthsimple Basic service and will charge 0% advisory fees for the first year if your account balance is from $0 to $10,000, the service will impose a 0.5% fee for anything above that, up to $100,000. And if you’re Canadian, any amount over C$150,000 might be better invested over at Nest Wealth, based on their fee structure. The Wealthsimple automated investment service is great for investors with both high and low budgets. The service also offers a lot of features, but all of it comes at a price. Wealthsimple is one of the best Robo Advisors for beginners, socially-responsible investors, high net worth investors, and investors who are searching for halal choices in their investment activities. The service is easy to use and offers a plethora of free premium features (automatic rebalancing and tax loss harvesting) along with access to human financial planners. If you want a more hands-on investing experience, you may want to look elsewhere. But if you’re a values-based investor or want a hands-off automated investing experience, Wealthsimple will be a good choice for you. Disclaimer: BestRoboAdvisors.org has entered into a referral and advertising arrangement with Wealthsimple US, LTD and receives compensation when you open an account or for certain qualifying activity which may include clicking links. You will not be charged a fee for this referral and Wealthsimple and BestRoboAdvisors.org are not related entities. 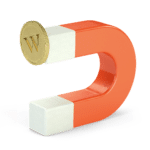 It is a requirement to disclose that we earn these fees and also provide you with the latest Wealthsimple ADV brochure (PDF) so you can learn more about them before opening an account.